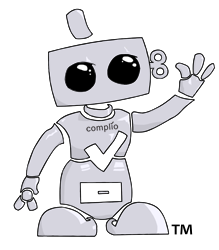 Complio is an online system for tracking immunizations and other requirements. The Complio process is simple and straightforward with just five basic steps to complete. The process should take less than 20 minutes. How does your WGU login work with Complio? If you have previously created an account and ordered a background check package through the Applicant Management System (AMS), you can access your account by clicking here. Or you may use the login button to the right. Login and follow Create Order. Follow the prompts and answer the questions. Select a screening Package. After completing the on-line ordering process, American DataBank will mail you a Chain of Custody form, which should arrive with 5-7 Business Days. After completing the on-line ordering process, you will receive an instructional email with directions on completing this step. Results will be made available to your clinical location only. Please visit the Florida AHCA Fingerprinting page for further instructions.